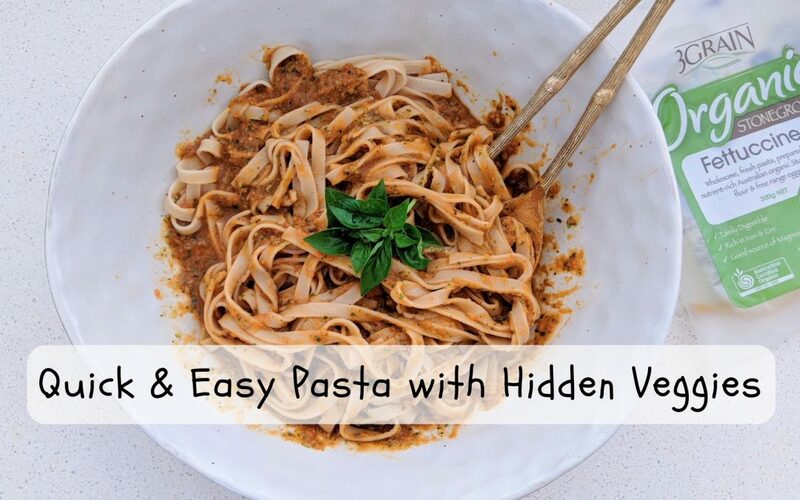 This is the ultimate healthy pasta recipe for busy mums and fussy kids! 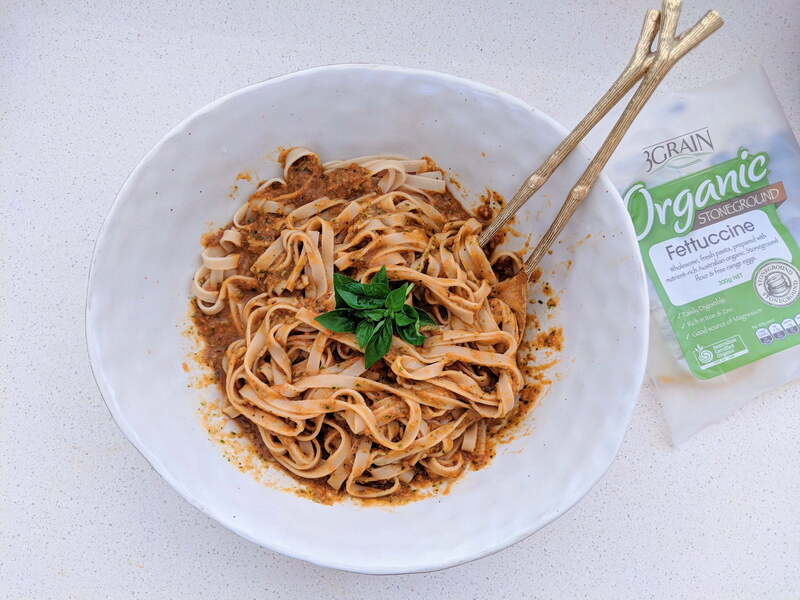 Made with wholegrain pasta from 3 Grain Organic and 7 different veggies hidden in a delicious pasta sauce, it’s a recipe the whole family will love! Cook pasta according to packet instructions. Once cooked, run under cold water, drain & place in salad bowl. In a wok, heat oil and cook garlic & brown onion. Add carrots, broccoli & pumpkin. Once cooked, removed from heat, allow to cool and place into a high speed blender. Add in tinned tomatoes, herbs and baby spinach. Blend until smooth. Pour veggie tomato sauce over the pasta and mix through. Serve with protein of choice. Enjoy. Such a clever idea and delicious, too! Love this! I can’t tell you how refreshing it is that you are sharing these for free just to help other out there be healthy. Thank you!